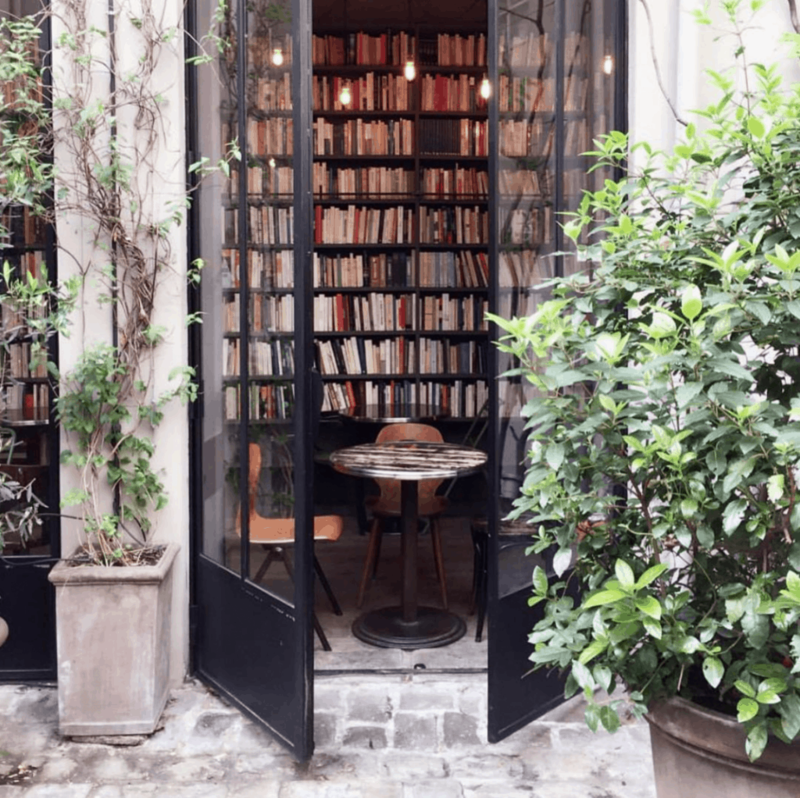 For more ideas on where to hide out during rainy days in Paris, check out our Paris Museums Guide where we not only share museums that are off the beaten path but also cute cafes you can spend your afternoon away! “Actually Paris is the most beautiful in the rain”, are the infamous words from Midnight in Paris. Whether you are in agreement or not, INSIDR believes the rain shouldn’t hinder your Parisian adventure! 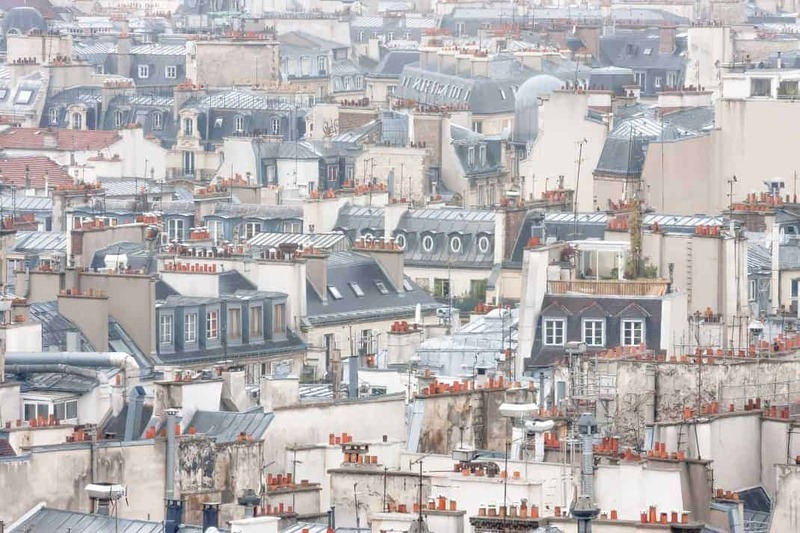 Here are some of our expert ideas of things to do around Paris in the rain. The passages couverts (literally, covered passages) and galleries are old-fashioned arcades which were created from the 18th century to provide cover from the rain for Parisian shoppers. These passages, found all over the city and often unbeknown to tourists, still fulfil their role as a refuge from the elements, as well as providing a delightful afternoon activity of perual around their unique selection of shops, cafés and restaurants. Dating back to 1873, the Galerie Vivienne is the definition of Parisian chic. 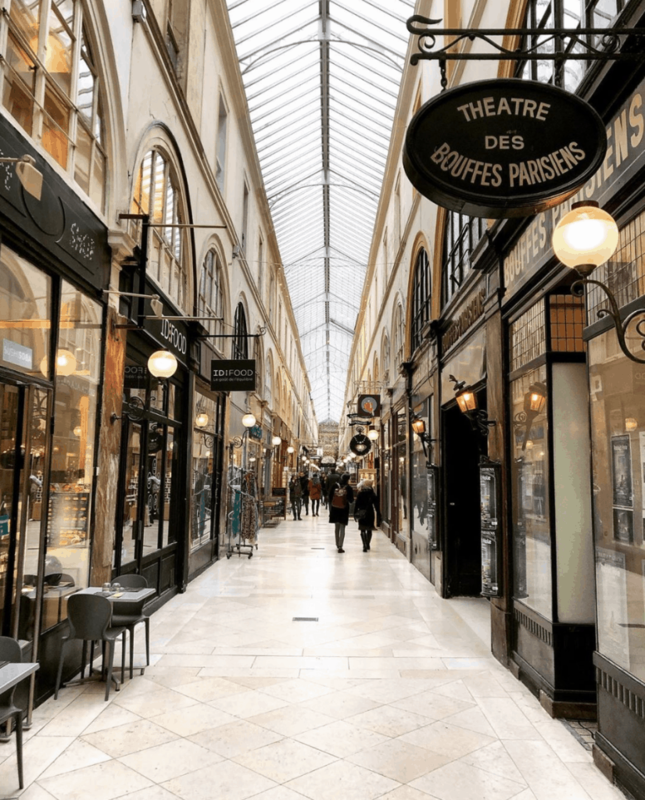 With Mosaic tiled corridors, vibrant indoor greenery and high end boutiques, such as Jean-Paul Gaulthier, Nathalie Garçon and deli Legrand Filles et Fils, this passage is a walk down elegant avenue. Compared to its neighbouring passages couverts, Galerie Choiseul is a little shabby, but what it lacks in elegance, it makes up in pure charm. Filled with cosy cafés, it is the perfect place to grab a bite to eat whilst staying in the dry. Keep an eye out for the famous Bouffes Parisians theatre whilst you’re there! 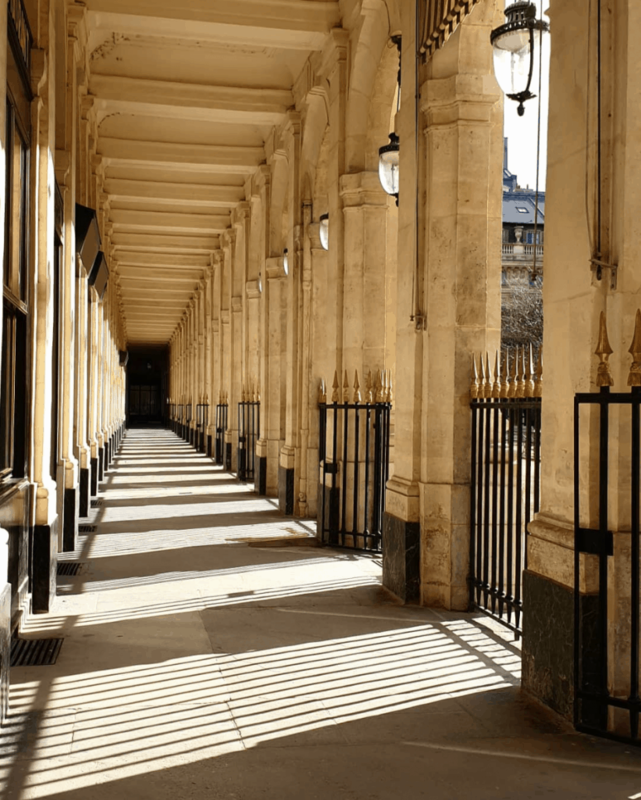 If you are looking to be out in the fresh air whilst staying dry from the elements, the galeries that frame the Palais-Royal are where you should go. After a wonder through the galeries, INSIDR recommends you nestle yourself in café Kitsuné with their delicious white hot chocolate or matcha latte as you watch the rain fall. The cinema is one of the best places to head when the weather is bad, but don’t settle for the standard multiplex soulless screens, if you are in the city of lights, even a trip to the pics can be glammed up. 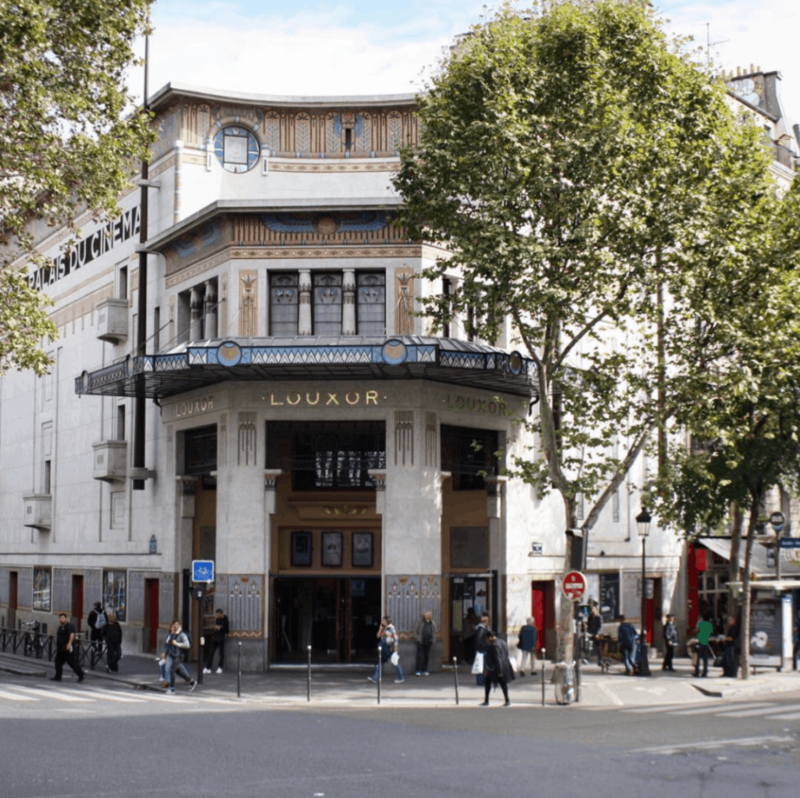 Located in the rough-around-the-edges, yet hip area of Barbés, lies Le Louxor, a cinema like no other. Its flamboyant Egyptian Art Deco vibe means you can enjoy your art-house film (in VO- original language) surrounded by golden clad walls, painted hieroglyphs and an art-deco skylight, a perhaps unusual partnership of artistic styles which work harmoniously to give a unique cinematic experience. They show a wide range of films, but if possible, select one which will be projected in the Youssef Chahine room, the most striking of the 3 screens. There is a bar on the third floor with a terrace overlooking the Sacré-Coeur where you can enjoy a verre de vin, or hop over the road to Brasserie Barbés for a post-film cocktail. Suitable for all ages– wide range of films, reduced ticket prices for children/ students, ideal for a romantic date night, bar on third floor. Can you beat a good coffee whilst sitting in a cosy armchair, with a good book in hand or a chat with a pal whist the rain is pounding outside? Here are some addresses where you can do just that. 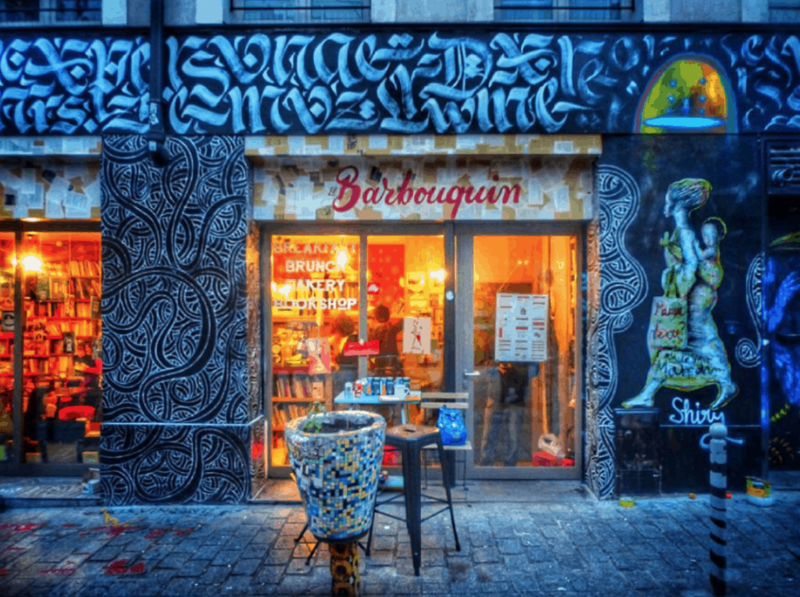 Nestled down the colourful graffitied rue Dénoyez is the perfect rainy-day hideout. Le barbouquin (literally, the book bar) is a library café, little known to tourists where you can get some amazing home-made delights, a delicious tea, select a book of your choice and cosy-up in a retro-vintage armchair. Library café. Shabby-retro décor. Ideal for all ages, children welcome. Home-made food and cakes. Great selection of tea. Check their Facebook for more info. One of the 3 cafés located in Merci, the trendy concept store, the Used Book Café is definitely the cosiest. Head there if the sky is overcast for a cup of coffee which you can enjoy whist perusing the 10,000 books that line the café’s shelves. Heads-up, the food is rather expensive for the amount you get, but the ambiance and coffee is worth the trip. Library café. Vintage chic vibe. Rather expensive. Ideal for meet-up with friends or couples. Open from Monday – Saturday, 10am – 6.30pm. 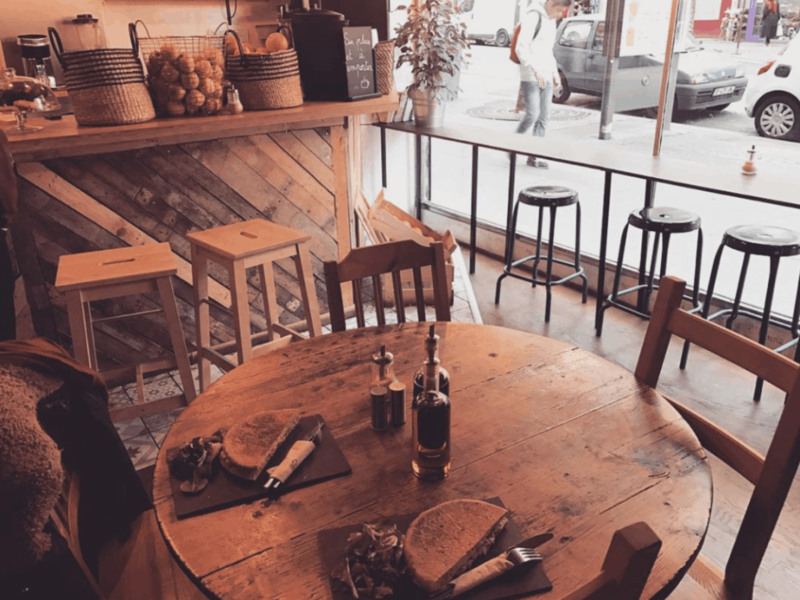 If you are looking for a child-friendly café to keep your tots entertained whilst you take refuge from the rain outside, Cozette is the ideal spot. Kitted out with toys, a giant blackboard, games and books, kids totter around happily whilst their parents enjoy one of Cozette’s delicious home-made fresh juices or grab a tasty toastie. Whist Cozette may seem a little out of the way, its cosy atmosphere and cheerful staff make it worth the trip. Kid-friendly café and dry bar. Reasonably priced. Cheerful staff. A rainy day is the ideal excuse to hit the shops. Here are some chic Parisian department stores that will fade away your rainy blues. 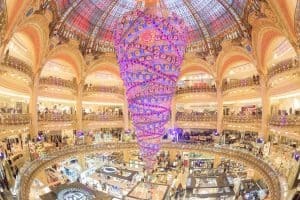 A flagship store for any shopaholic, Galeries Lafayette is the Parisians shopping mall, with a big touch of class and a lot of luxury. You can also find a fine selection of cafés and restaurants located throughout the store, should you need an energy boot mid shop. Paris, France – December 1, 2014: Swarovski christmas tree at the famous Galeries Lafayette department store on the Boulevard Haussmann on December 1th, 2014. Ideal for keen shoppers. Wide price range. Classy ambiance. Restaurants/ cafés inside.